Destroy Your Workout! 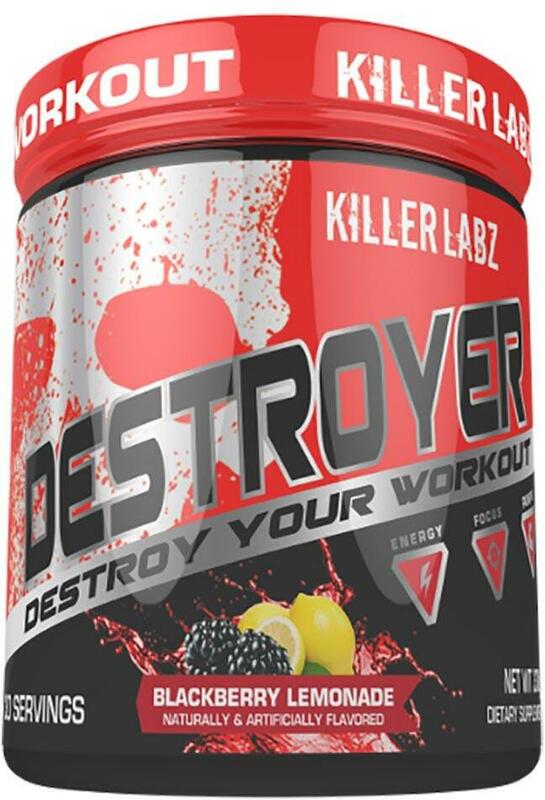 High-Stim Pre-Workout With Fully Dosed Performance Enhancing Ingredients Then You Will Thoroughly Enjoy Destroyer! 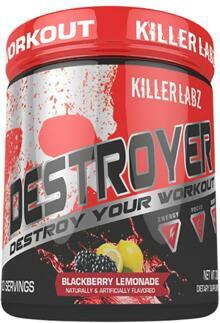 Killer Labz Destroyer is a hard hitting pre-workout. If you're looking for something that will get you primed to murder your workout-look no further! Destroyer has been loaded with proven performance boosters combined with high doses of powerful stimulants to get you fired up to kill it in the gym. Each serve of this pre-workout has a big hit of both caffeine anhydrous & di caffeine malate to provide an instant, but yet sustained release of energy to avoid crashing. Alongside the caffeine, you also get a solid dose of beta alanine to help prevent muscular fatigue and the build up of lactic acid. Destroyer is not just an energy heavy product. It also contains a solid dosage of L Citrulline to help improve blood flow to the working muscles, thus allowing more nutrients to enter the cells and get a sickening muscle pump. If this pre-workout doesn't get you going-check your pulse!